The first phase of Sibs’ Journey was a 10,000 mile long road trip around the United States, consisting of interviews of sibs of all different ages. Before the road trip, we had done some research and concluded that there wasn’t enough holistic information about siblings published. On our road trip, our goal was to broaden the narrative of the sib experience, to collect anecdotes and stories from as many sibs as possible to gain a richer understanding of what it means to be a sib. Read the stories that started Sibs' Journey. Sibs’ Journey has presented at Impact: Boston (a Brandeis summer program where Claire, Renee, and Ellie met) twice. 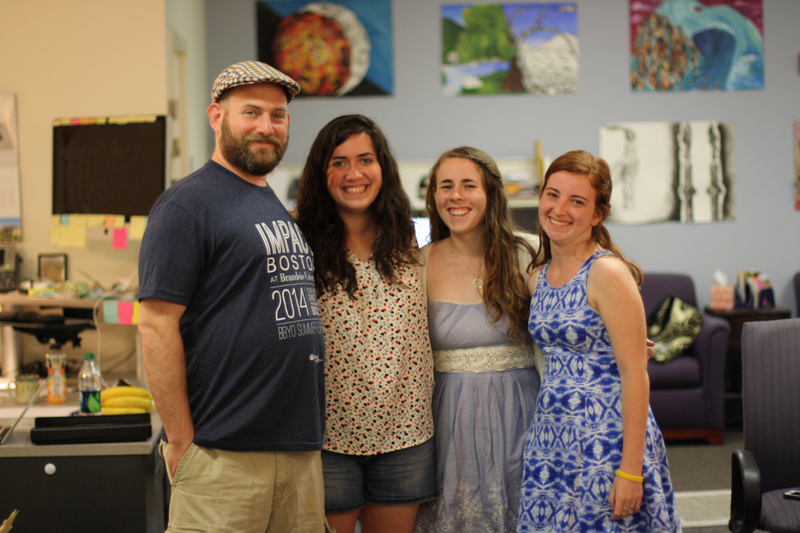 Impact: Boston is a Jewish, social justice themed summer camp hosted at Brandeis University. 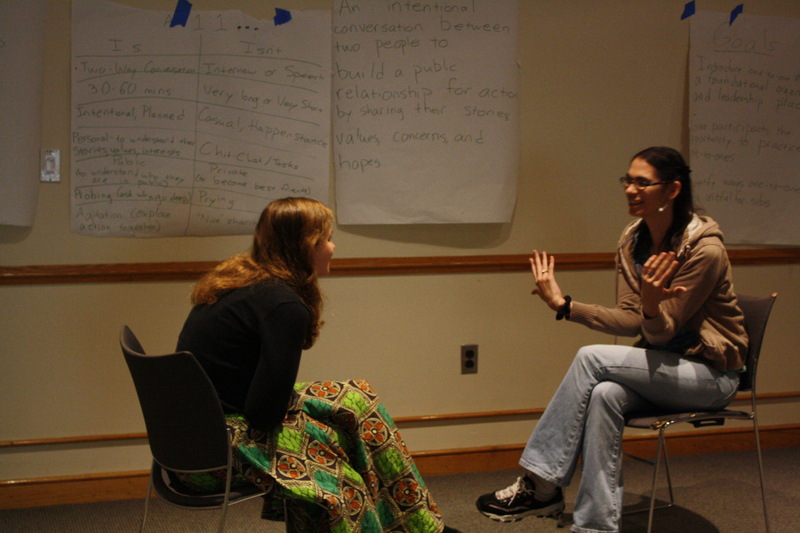 Impact thrives because of its emphasis on discussion-based activities centered around difficult topics. From Impact, we learned how to ask complex question, listen to meaningful answers, and to never judge a situation from first impressions. Presenting at Impact was an honor and speaking to high schoolers who were sitting in the seats we sat in just a few years prior was an incredible experience. In February 2015, we gave a presentation at Deis Impact, Brandeis' social justice festival. Our presentation there provided us with an amazing chance to synthesize the work we've done while making the case for why sibling support is a social justice issue. Renee had the opportunity to speak at Evening of Genetics in Houston, which was hosted by Houston Children’s Museum and Texas Children’s Hospital in the fall of 2013. The audience was mostly parents and she shared information and stories that came out of our summer road trip. Click here to see a copy of the presentation. Sibs’ Journey put on a conference for young adult sibs during the summer of 2014 at Brandeis University. After speaking with numerous sibs over the years, we concluded that the population of sibs that receives the least amount of services, in terms of resources and support, is that of young adult siblings. We decided to put together a conference with speakers ranging on the topics of residential option, legal services, medical movements, and community-based support for young adult siblings. See the conference schedule and speaker biographies.